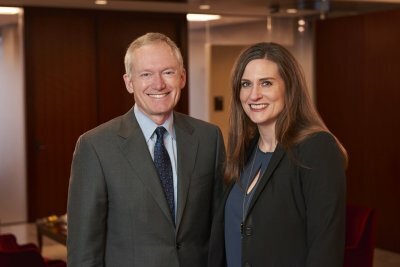 Jana Aune Deach and Thomas J. Shroyer were recently elected to three-year terms as members of our Board of Directors. Jana is a member of the firm’s family law team, and this will be her first term serving as a director. Tom is chair of the firm’s accountant law team and a member of the firm’s litigation team. He has been a director since 1993 and has served as the firm’s Chief Executive Officer since 2000. Jana and Tom will each continue practicing law on a full-time basis in addition to handling their management responsibilities. They are joined on the board by co-directors Rick Johnson, Kevin Busch, Brian Grogan and Tim Gustin.